Whether you’re a buyer or a seller, the RSS feeds that are increasingly available as eBay tools can help you to use the auction site more effectively. If you’ve never used RSS before, now may be a good time to start. RSS stands for “Rich Site Summary,” and is sometimes called "Really Simple Syndications." How does it affect eBay sales? If you’re a buyer, RSS is a way of monitoring lots of different “collections” of items on eBay that will interest you—all of the items matching one of your searches or all of the items sold by a specific seller. You get to choose how these collections are put together and how often you check in on them. If you’re a seller, RSS is a way of making your own wares available to buyers as just these kinds of “collections” that they can easily watch. It’s also a way of automatically spreading your current eBay listings around the web and its search engines. In practical terms, an “RSS feed” is a special link or URL (a web address, in short) that points to one of these kinds of collections for you. You get to create all the collections that you want through eBay and describe what should be in each collection. eBay then supplies you with a link that will contain the collection in question. If you’re a serious eBay shopper—the kind that’s constantly on the lookout for certain kinds of goods or prices or the kind always open to a great deal—RSS might be just right for you. 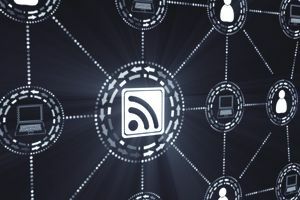 With your RSS reader ready to go, you can point your reader toward several types of collections simply by pasting the addresses of the links below into them. eBay’s Daily Deal RSS feed summarizes the items that eBay selects every day and actively markets to shoppers as special or great buys. This is the collection of deal hounds and comparison shoppers extraordinaire. More interestingly, you can turn any of your eBay searches into an RSS collection that will automatically stay up-to-date. When you do this, any time a seller lists a new item that matches your search, the item will automatically be added to the RSS feed. Run a search. This can either be a regular search or an advanced search that specifies things like price ranges, items from a particular seller, particular geographical location, etc. Make the search as specific as you want; eBay will remember these properties as it assembles your collection and keeps it up-to-date with new listings. Scroll to the bottom of the search results. Once you’ve run your eBay search and generated a list of results that suits your needs, scroll to the bottom of the search results page and find the orange RSS button. This is the link to the RSS feed (collection) created for the search you’ve just run. Save the link and add it to your reader. Right-click on the RSS button, choose to copy the link location or the URL and paste the address into your RSS reader or RSS desktop tool’s configuration. You’ll now automatically always see the current results for the search you’ve just run, quickly and easily accessible. Of course, if you're an eBay seller, there's even more at stake for you than finding great deals. Your business could depend on your ability to use RSS well. Enable your eBay Stores RSS feed: If you haven’t already, enable the RSS feed for your eBay store by choosing “Manage My Store” in your My eBay pages, then selecting the “Listing Feeds” option on the left side of the page. Once enabled, you’ll find an orange RSS button at the bottom of each of your store pages containing the URL for your store’s RSS feed. Customers can use this to monitor your listings as described above, and you can share the link across the web to encourage this behavior. Create an RSS feed for your non-store listings: Even if you don’t have an eBay store, you can do something similar for non-store listings. Run an advanced search in which you search eBay by seller ID—your own seller ID. On the search results page, scroll to the bottom and find the orange RSS button. This contains a link to the feed for your non-store listings—a link that you can share far and wide. Automatically post your listings to a blog: Most blogs now support automatic postings via RSS feed. While the features vary from blog to blog, the general effect is the same: supply your blogging software with an RSS feed URL, and it will use that feed to automatically make new blog posts or content for you containing the items in the feed. This is advantageous because your blog can be indexed in search engines in ways that eBay listings sometimes aren’t, and people often find blogs easier to use than searches (share your blog URL). Once you’ve got this all set up, share the RSS feeds, the Twitter feed, and your blog address far and wide. Put it in your newsletters. Publish it on Facebook. Do what you can to get people to watch. As eBay and the Internet mature together, those who want to get the best deals when buying or who want to maintain the best performance when selling will increasingly need to embrace the social web. Sellers, in particular, will find that without viral marketing techniques like RSS feeds, it will be tough to stay on top. So get aboard the RSS bus if you haven’t already and make eBay work more directly for you.